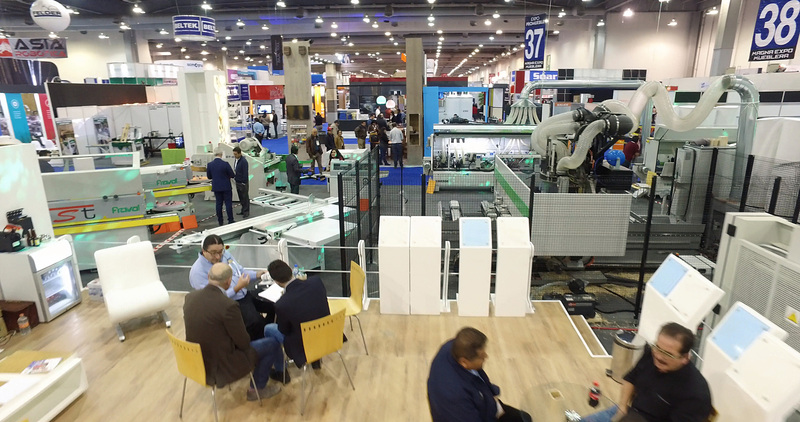 Mexico City - Preliminary figures for Magna ExpoMueblera, Mexico's largest wood and furniture industry trade show indicate the 23rd annual event was a "resounding success," according to show management. Held Jan. 18-21 at the Centro Banamex exhibition center in Mexico City, it was the first time that the show took place under the management of Deutsche Messe AG, represented by its local subsidiary Hannover Fairs México. “It’s our first time at the helm of the show, and I am pleased to say that we achieved a marked increase in participation by international exhibitors and visitors alike,” said Christian Pfeiffer, Deutsche Messe’s Global Director LIGNA and Woodworking Events. The 2017 Magna ExpoMueblera featured more than 200 exhibitors, including global market leaders, such as Felder, Holz-Her, Weinig, SCM, Biesse, Stiles, Leitz, Kastamonu, Altendorf and Siempelkamp. Magna ExpoMueblera 2017 attracted visitors from 16 nations, on hand to view products and solutions for solid wood machining and panel processing, including entry-level CNC machines to integrated CNC systems for mass production. 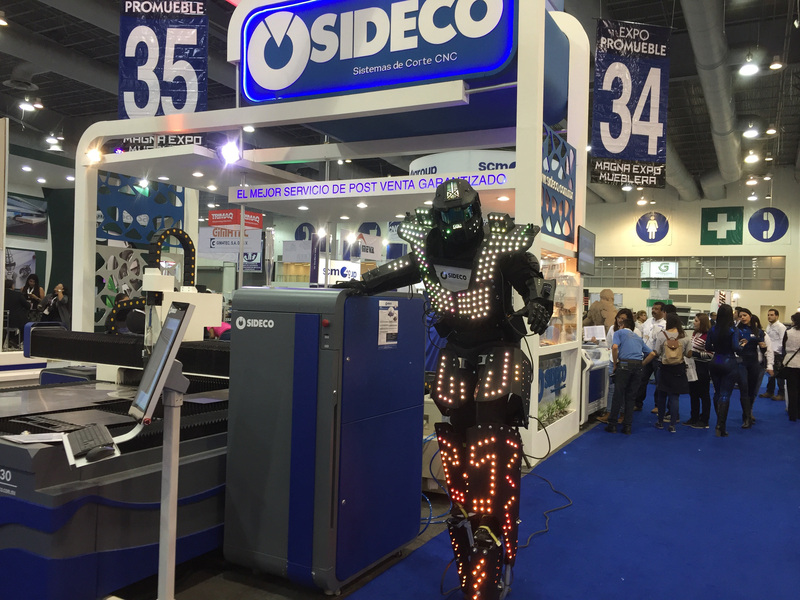 Highlights included the “CNC Applications” display area, which boasted a strong international participation, as well as a supporting workshop program. The show also featured panel products and veneer manufacturing, living room, kitchen and office furniture, and fabrics, upholstery materials and supplies. 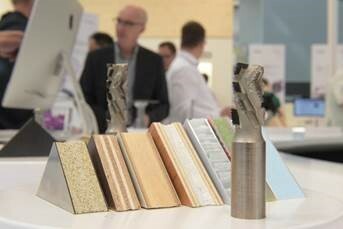 Exhibitor SCM Group's Marco Pedronici added, “We are very satisfied with this year’s Magna ExpoMueblera. We achieved a pleasing volume and quality of new business. Things are happening in Mexico – companies are continuing to invest in new plant and equipment. Mexico is a strong market with a big population and a large number of young people. The economy is progressing well, and we believe it offers major growth potential." The opportunity to network and expand its market reach was a draw for first-time exhibitor Stiles Machinery. “We’re also here to show we’re committed to the marketplace, and that we’re going to bring the same level of quality, sales and support structure,” to the region as is available to customers in the United States and Canada, noted Chris Dolbow, marketing manager. Biesse’s Product Manager Luca Terenzi also said “clearly yes,” when asked about exhibiting at the 2018 show. 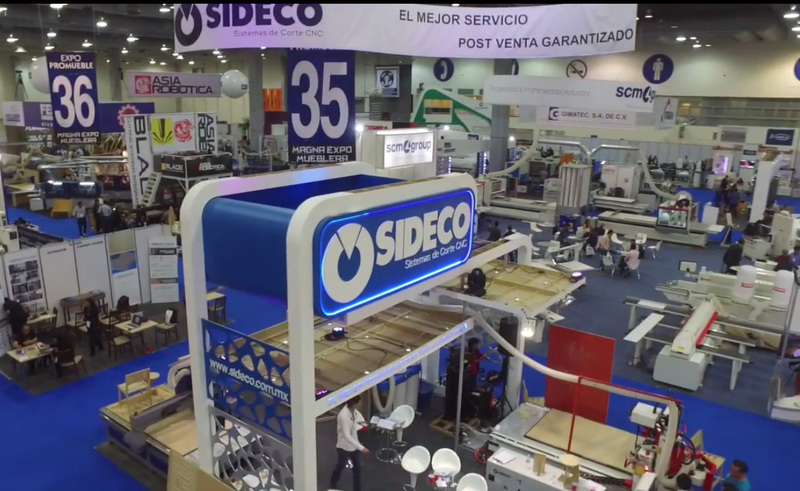 The machinery manufacturer exhibited a wide range of offerings in an expanded booth size. “Following close dialogue with our exhibitors, we have decided to split Magna ExpoMueblera into two trade fairs. This will enable us to focus more fully on each of the two really rather distinct theme strands involved,” Pfeiffer said. Beginning in 2018, Deutsche Messe will stage Magna ExpoMueblera Industrial as an annual show focusing on machinery, applications, materials, equipment and solutions for forestry, wood processing and furniture manufacturing. The first show will take place January 17-20. Magna ExpoMueblera Mobiliario e Interiores, an annual show specializing in furniture, cabinetry, interior design, domestic appliances and floor coverings, will be held March 6-9. Both shows are scheduled to occur at the Centro Banamex exhibition center in Mexico City, site of the 2017 event. "Splitting Magna ExpoMueblera into two events will enable us to make each part even stronger," Pfeiffer added. In addition to LIGNA, Deutsche Messe's event portfolio includes DOMOTEX, the international trade fair for carpets and floor coverings. The German-based Deutsche Messe acquired a majority stake in Magna ExpoMueblera on June 8, 2016.